Abstract: Technology is increasingly entangled in every aspect of our lives. Think ubiquitous devices, social networking, big data, Internet of Things, smart everything, AI and so on. As the designers/builders of these technologies, we wield considerable power, as rightly evidenced by the public debate around biased algorithms and the influence of social media. But what about the more subtle and mundane ways our design choices also wield power? Using vignettes from research in CSCW and health IT areas, this talk will bring a socio-technical lens to illustrate example choices and their implications, both at the interface and on the practices through which technologies are incorporated into everyday life. This highlights that what we design is not just technology, but ways of being human and the complex negotiations around choices. More critically, it also highlights the importance of new sensitivities, skills and alliances and the need to be critically reflective and empathic practitioners. How we show up as responsible designers/builders of technology and how we wield our power matters. 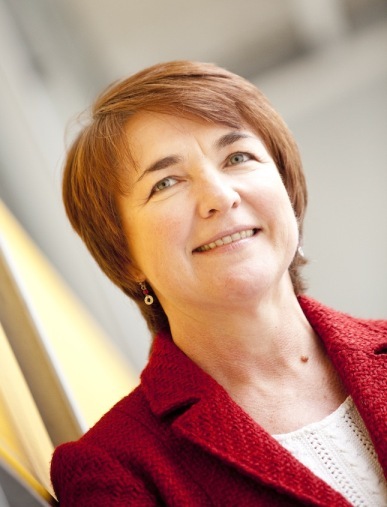 Speaker bio: Geraldine Fitzpatrick is Professor of Technology Design and Assessment and heads the Human Computer Interaction Group at TU Wien in Vienna, Austria. She is also an ACM Distinguished Scientist and ACM Distinguished Speaker. Previously, she was Director of the Interact Lab at Uni. of Sussex, User Experience consultant at Sapient London, Senior Researcher at the Distributed Systems Technology CRC in Australia, and a nurse/midwife prior to her IT degree at Uni. of Queensland. Her research is at the intersection of social and computer sciences, with a particular interest in technologies supporting collaboration, health and well- being, social and emotional skills learning, and community building. She has a published book and over 180 refereed journal and conference publications in diverse areas such as HCI, CSCW, health informatics, pervasive computing. She sits on various advisory boards, and serves in various editorial roles, and as program committee/general chair in various CSCW/CHI/health related international conferences. Authorised by: Chief Marketing Officer, Strategic Marketing and Communications. Maintained by: IT Web master. Last updated: Apr 2018.